The majority of cruise ships making stops in Sitka this summer will be coming in to dock. Holland America Line has agreed to tie all its ships up at the Old Sitka Dock, meaning 45 ships will be bringing tourists directly to shore. 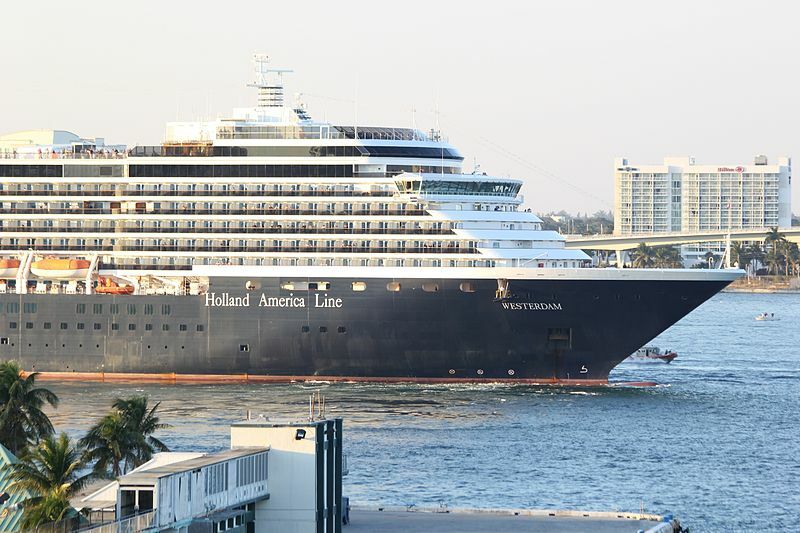 This is a big change from years past, where Holland America ferried their passengers to town via tender boat. The news of the big cruise line tying up in town was music to the ears of Fred Reeder, the port director of Cruise Line Agencies of Alaska in Sitka. Reeder said that passengers on ships that dock in town seem to stay on land longer. “I know the restaurant owners certainly noticed a difference when the ships are out there the people seem to stay in town during lunch rather than take the tender boat back out to have lunch onboard so I suspect at the end of the summer the restaurant owners in town will be happy,” said Reeder. Chris McGraw is the manager of Halibut Point Marine Services, which owns the dock. This summer, Sitka will see 17 more cruise vessels than last year and expects a total passenger count of nearly 120,000. McGraw says more ships mean more money for the city in increased sales tax revenue. McGraw has been working for years to get boats to dock at his multi-million dollar cruise port, which is five miles from town on Halibut Point Road. His dock has been in operation for four years. In its first year, he says, only one ship agreed to dock. But in recent years, he’s had better success negotiating with companies to use his in-town cruise port. McGraw contracts with Alaska Coach Tours to drive passengers to Sitka’s downtown. The first cruise ship of the season makes a call in Sitka on May 9th. A total of 119 cruise ships will be coming here this year, not including vessels from Allen Marine, Reeder says.